With the aroma of grass filling the air, Coachella-inspired girls and San Diego’s infamous ‘Bro’ boys flocked to the Cricket Amphitheater on Sunday for 91x’s annual X-fest. (To clarify, when I say grass, I am referring to marijuana and when I say filled, I mean the smell was so pertinent that everyone in the amphitheater was contact high half-way through the concert – even the police.) This yearly show is seen as the kick-off to summertime, and 2012 proved no different. With seven of the ten acts calling Southern California home, it was time for Summer in So-Cal to commence. GROUPLOVE, an Alternative-Pop group from LA, who gained notoriety for their song “Tongue Tied” when it was featured in an iPod commercial last year, brought the festival to life. They kicked off their set with “Lovely Cup,” demonstrating their zeal as artists. On stage, GROUPLOVE is not a five-member band; they are a unit, that is able to vibe off one another and makes the audience put on their dancing shoes. With “Itchin’ On a Photograph,” their second tune, the band started clapping with the hopes to engage the audience; however, it soon became apparent that this engagement was to hide the lead singer’s lack of vocal strength and his failure to carry the tune’s high pitched, lengthy notes. “Naked Kids,” a track about summertime and car rides to the beach, brought the pop band back to its acoustic roots – let’s face it, the truth is that it is impossible to have a song about summer without an acoustic guitar. 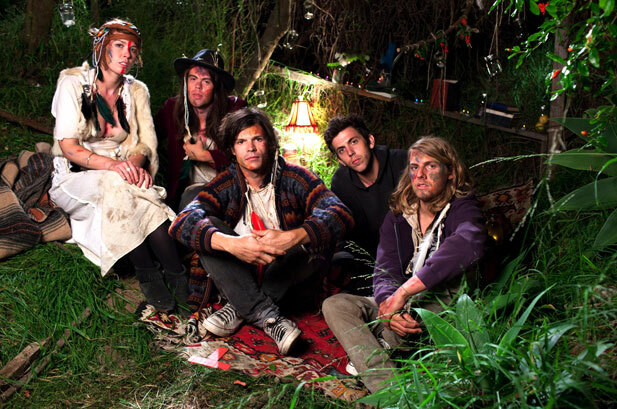 The fourth song GROUPLOVE performed “Spun,” brought back memories of my experience at the Wombat’s concert; it was an upbeat, dance track with great vocal backing from Hannah Hooper, the band’s one female member. Half way through their performance, GROUPLOVE switched everything up with “Slow.” Dominantly sung by Hannah Hooper, “Slow,” adds in synthesizers and guitar distortions, which had been absent from the band’s first four songs. Ending with intense synthesizers provides audience members an outer-space experience filled with high-pitched sounds that confuse the mind. “Tongue Tied,” the song that made the group famous, gets everyone in the crowd dancing – yes, even the ‘Bros’ were nodding along. GROUPLOVE showed their talent as a band throughout their time on the stage, but they took their performance to the next level with a cover of Whitney Houston’s “I Wanna Dance with Somebody.” In four simple words: the crowd went crazy. Even though the singers’ vocals were raspy and lacked the strength of Whitney’s vocal range, the band’s version of the 1980s classic showcased their ability to reinvent a music industry staple. In GROUPLOVE’s eight-song set, they proved to the festival attendees that they were good enough to share the stage with bands, such as Jane’s Addiction and Garbage. Their high energy combined with awkward dance moves, and a sense of contentment with one another, instilled in my mind that this is a band to watch; they will without a doubt be together, making music that resonates in the world of popular music for years to come. The Casbah has been becoming my go-to spot for live music in San Diego. It has everything a struggling college student looks for in a regular spot: cheap entry, cheap drinks, a crowd who doesn’t give two shits and just wants to have a good time; but most importantly, beats that run through your veins and leave you wanting more. On Wednesday, I went to the Casbah without even looking at the calendar to see who was playing, since my friend Julie wanted to go. To my pleasant surprise, Geographer was playing. Before Wednesday, I had never listened to Geographer’s music, but through the grapevine, I had heard that they were a tremendous band, and were they. Stemming from San Francisco, Geographer is an eclectic Indie trio, whose music relies on a drummer, a cello/keyboardist/synthesizist and a singer/guitarist. While the band may only consist of three members, the music they project is very full sound, as demonstrated by their first song “The Myth of the Youth.” Starting with an intense drum beat, light guitars, and great vocals, the song builds up the anticipation towards the bridge, where the song changes into a light airy feel. Throughout the song, the cello plays an intricate part in the band’s dynamics, however, it is never overbearing, which I thought was going to happen. “Lovers,” the bestselling song off of Myth, Geographer’s latest Album, opens with synthesizers; providing concert-goers with a tune unlike the opening song where the synthesizers remained hidden under the rest of the instruments. Don’t get me wrong when I say they utilize synthesizers; to clarify, Geographer uses synthesizers in a manner that is both relaxing and pleasant to the ears. In no way does Geographer employ synthesizers in trance music fashion where your ear cannot distinguish one song from the next, resulting in a massive head ache because of the blurring together. “Lovers” and “Verona” (the band’s next song) demonstrate how an Indie band can utilize different forms that aren’t necessarily used in Indie music in a sophisticated way, producing a sound that the audience adores. “Life of Crime” commenced with synthesizers, but in many ways, it reminded me of The Beatles “Flying.” Continuing with the distortions, the rest of the instruments integrated and lifted the song to the next level. It transcends Indie and Rock because it incorporates so many different aspects into a four minute track. “Boulder,” the heart-wrenching track of having someone be ‘Your Everything’ in life, relies on the moans of the lead singer to push listeners to a place of deep contemplation. Geographer finishes the show with “Kites.” High pitched synthesizers start the song, reminding me of a 1980s video game; the lead singer’s vocals are thrown into the mix, followed by the rest of the instruments. This song has ‘Geographer’ labeled all over it. The song combines the synthesizer with the haunting howling vocals, solid drum beats and the drawn out emotions from the cello; simply put, this song and band is something different than any other music out there today. Geographer blew my mind and my senses. They combined instruments, and tones that appear to be incompatible; however, the way the band compiles everything together generates a unique sound that is undoubtedly unlike any other. 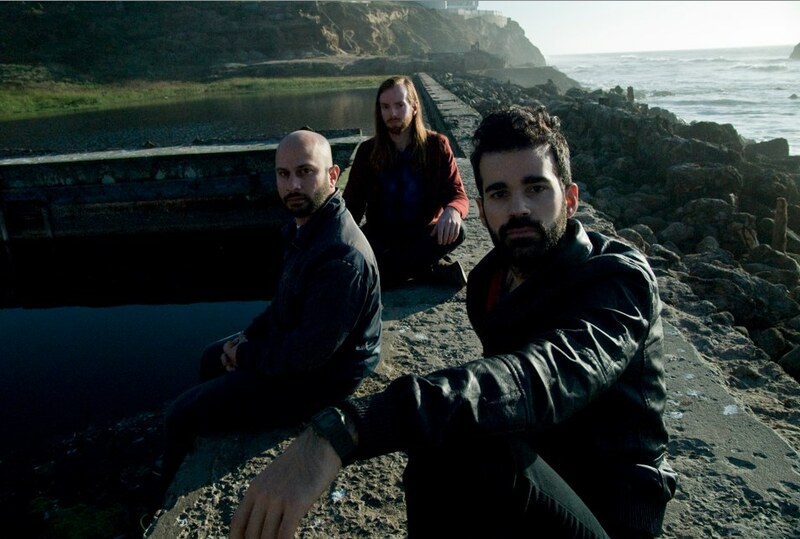 Geographer may be a band that relies heavily on artificial sounds, but they incorporate timeless rock instruments, as well as classical instruments, producing a distinct sound incomparable to present day artists. Lacking the appearance, as well as the stage presence found in most rock bands (a.k.a. cocky attitudes, all black outfits, and tussled hair); The London Souls captivated the audience of The Casbah on Thursday Night, providing viewers with a renewed hope that Sixties Rock is alive, only buried under the techno sounds that have entranced many young adults. When the band took the stage, they held up to the ‘I don’t care’ notion that most bands project; however, it is obvious that The London Souls actually don’t care. They don’t spend copious amounts of time getting the ‘just rolled out of bed look;’ instead, what they care about is the music, which undoubtedly shines through in their performance. The London Souls commence their set with “The Sound,” a sixties psychedelic rock track that awakes the crowd. As the child of a woman, who spent her teenage years lying in the fields of Golden Gate Park, with flowers in her hair, listening to the sounds of the Haight Ashbury Clan, I felt like I was being taken back to the decade where my mom discovered her taste and love of music. Hash, the lead singer and main guitarist, embodied a new form of Jimi Hendrix. Hash and his guitar became one. I felt like I was watching this person, in the comfort of his bedroom rocking out with no one around. While distortions played an intricate part in “The Sound,” Hash and the rest of the band maintained their soulfulness throughout the song. While The London Souls classify themselves as “rock’n’roll, straight up with the slightest hint of soul and a little dash of blues,” they bring to the table so many more forms of rock than just soul and blues. When I heard the beginning notes of “Someday,” immediately, I thought I was at the beach, listening to a laid back tune, something along the lines of Sublime. The band didn’t leave behind their original hard rock sound of distorted guitar riffs and prominent drums, only integrating their sixties rock sound with their laid back, Jamaican feel-tune. When The London Souls performed “Dizzy,” the entire atmosphere of The Casbah was transformed. “Dizzy” brought in an old Rockabilly feel; the lyrics, the sound of Hash’s voice and the backbeat of the drums reinforced the band as innovators. Bringing in rockabilly and country aspects diversified what audience members believed The London Souls was capable of. “She’s So Mad” instilled the original rock psychedelic experience, intense constant beats from the drums, strong vocals, continuous guitar distortions that don’t overpower the rest of the band; in addition, there are guitar riffs that sent chills down my spine. The song awoke my senses in a way I had never experienced before, especially, from a band that I had never heard of before witnessing them in concert. “Under Control,” “Stand Up,” and “I Think I Like It,” are some of the other essential rock songs that The London Souls performed for audiences last Thursday, forcing concert-goers to recognize that this band, who may like style, grace and stage-presence, is bringing a style of music seemingly dead in today’s culture, back to life. The London Souls is bringing listeners back to a previous decade that younger generations dream of entering and an older generation hope to return to. Today’s music scene has become clouded by performers, who stress the importance of ‘looking the part,” and push ‘sounding the part’ to the side. The London Souls is a band that doesn’t need to hide behind a ‘stylish façade’ in order to sell records; since, they have talent that is unprecedented in today’s music scene. My only hope is that the band remains strong, not seeking approval of producers, labels or even fans; instead, I wish they only aim to please themselves and continue with their unique sound that brings the sixties psychedelic sounds of Hendrix, back to life, with a hint of blues and soul of course! Hailing from Liverpool, The Wombats pleased concert-goers on Wednesday Night with an energetic performance; bringing the leather wearing, greasy haired, PBR drinking hipsters of the Casbah to their feet. The trio is not the typical griddy rock band that graces the Casbah stage; they are an indie rock band with an upbeat pop sound with slight hints of punk thrown into the mix. The band, who recently released their second album The Wombats Present: The Modern Glitch back in February, maintains the sound they established on their first album, A Guide to Love, Loss and Desperation. The Wombats opened with their new single “Our Perfect Disease.” The song is a commentary on backsliding – a.k.a. caving and trying to get back with an ex because they miss, and crave, the insanity of an unhealthy relationship. Next, the band brought back “Kill the Director,” a song from their first album. The song ends with “This is no Bridget Jones, this is no Bridget, Bridget Jones” sung repeatedly; allowing audience members to become apart of the performance and adding to the song’s overall liveliness. “Our Perfect Disease” and “Kill the Director” only hinted at what was about to come from their performance. It is obvious that The Wombats have one objective when it comes to performing: to have a good time with each other, and their fans. While they adhered to their set list, their performance was very loose – nothing was taken too seriously. PBRs were being passed on stage for the band from audience members, as well as shots. The show was small to begin with, but it soon became an intimate get together of friends. There were many mishaps, including an obvious mess up with “Schumacher the Champagne” when Matthew Murphy, the lead singer and guitarist, completely blanked on the lyrics and had to re-start the song, not once but twice before he finally remembered, or overheard a spectator in the front row singing the correct lyrics. Mid-way through the show, The Wombats played “Techno Fan,” and the crowd was revitalized. 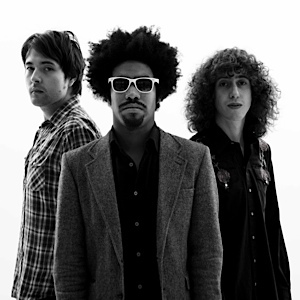 The Wombats released “Techno Fan” as a single, but it wasn’t until Afrojack, a prominent house DJ, remixed the tune, that the song out was brought out of the realm of rock and introduced to techno fans around the world. Even though the Wombats played their version of the song, The Casbah turned into a dancehall. The Wombats also performed three of their classics, “Little Miss Pipedream,” “Moving to New York,” and “My First Wedding;” providing a balance between old and new songs. 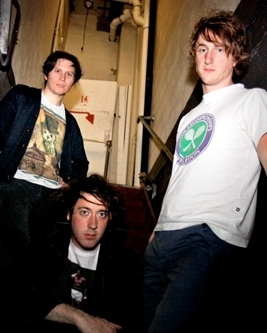 With regards to these three older songs, the Wombats manipulated the track to present a new fresh sound. For instance, the ending of “Little Miss Pipedream” was slowed down to a crawl, in order to accentuate the drum beats. The show’s encore consisted of my favorite song from their new album “Anti-D,” a slow, melodramatic tune about a person willing to be another person’s savior and pick them up off the ground. On the other end of the spectrum, “Let’s Dance to Joy Division,” the last song on the set, is the Wombats first song and undoubtedly considered the band’s dance track. By ending their show with this song, the Wombats forced concert-goers to leave the venue dancing to the humming noise left behind by the band’s high pitched guitar, strong drum beats and electric keyboard that comes from a backing track. Matthew Murphy stated “I think this the most relaxed gig we’ve ever done,” and in my opinion, it was one of the most relaxed performances I’ve ever seen; but, it worked. It was a night of music enjoyment where the mistakes, the commentary by the band, and the interaction between the members of the band and the members of the audience brought the music alive. Welcome to UCSD, or better yet, welcome to UC of the Socially Dead. While nicknames may seem a bit trivial, they are always hinting at the truth. As a junior in high school, soon to graduate, students begin learning what each institution has to offer; in addition, they learn the stereotypes. Whether it is a good stereotype, such as the pristine Communications program at UCLA or a negative label, like the ‘till you die belief’ that encompasses the name Chico; these typecasts have been engraved in our mental makeup, making a separation between the fictional tales and the true occurrences impossible. day of their college career and young adult life. students have ridiculed the 2012 lineup. students were not only disappointed in the line up, but to a certain degree angry. the backlash has stemmed from the ASCE’s choice for headliner, Silversun Pickups. are an indie-rock band that specializes in hard guitar sounds with distorted vocals. new staple throughout the US (especially on college campuses), I can guarantee Van Dyk’s set will be packed. 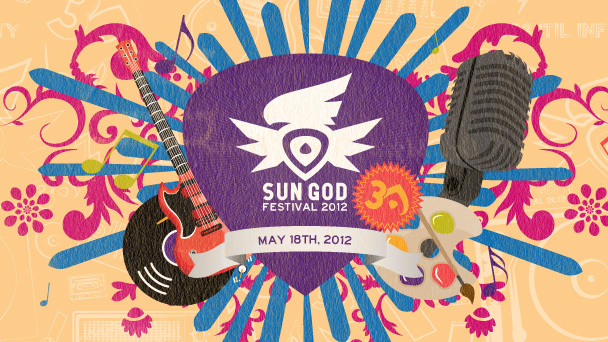 is a day where individuals come together through the power of music. "Always have fun, and if you ever get lonely, just go to the record store and visit your friends."